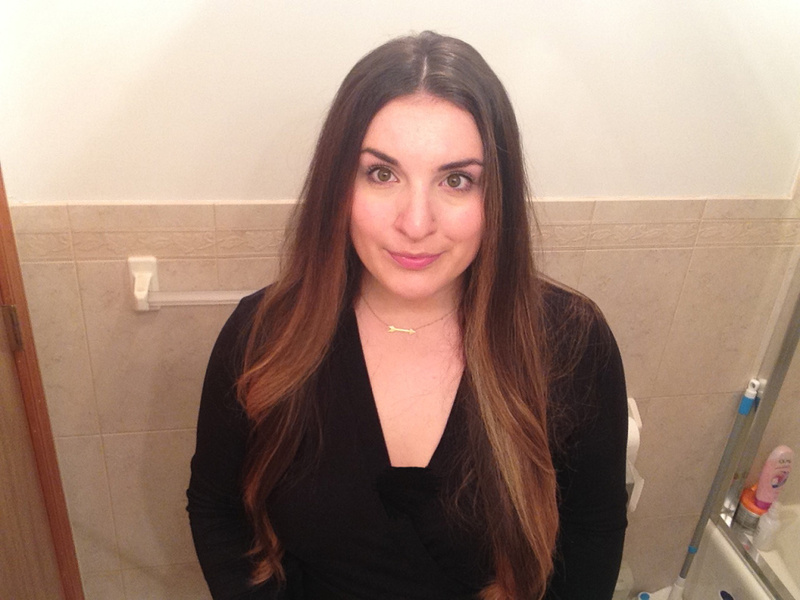 Our beauty assistant tested a tool to help her go longer between washes. I don't wash my hair every day. In fact, I err more on the side of sudsing up only once or twice a week at most. Why? Because my hair is long. And I mean super long. Long enough that when I get my hair blown out, the stylist always comments on how they've gotten their workout for the day. Now can you see while I rarely wash it? Enter the PonyDry ($20; ponydry.com). The product claims to allow you to wash only your roots, leaving the rest of your hair untouched. With the promise of "letting you shower like you have short hair" and my own dream of cutting down on drying and styling time, I had to give it a try. The PonyDry's package has six images on the back to show you exactly what to do. 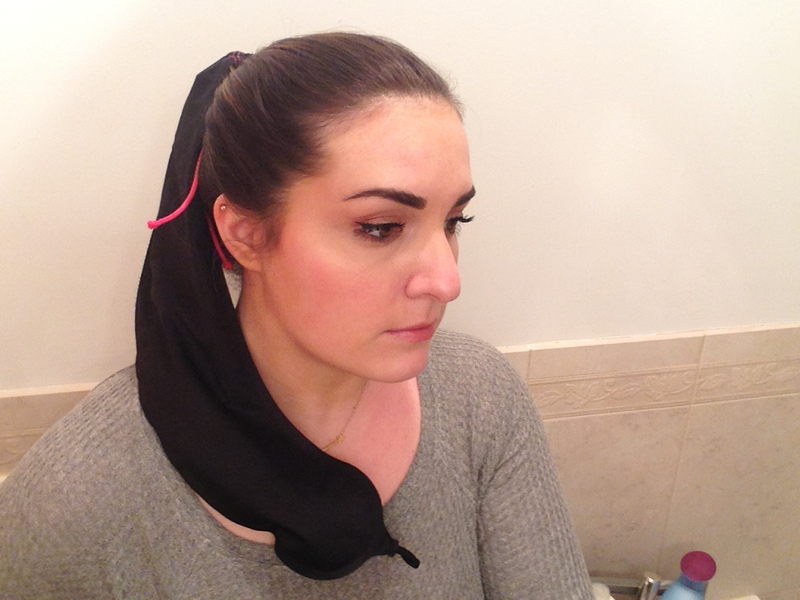 First, I pulled my hair back into a ponytail with an elastic and pushed it through the PonyDry's nylon pouch. I quickly realized that I had to twist the length of my hair for it to fit without stray pieces falling out. That being said, it might be easier for women with super curly or thick hair to braid it first so that it will take up less space and make the task easier. 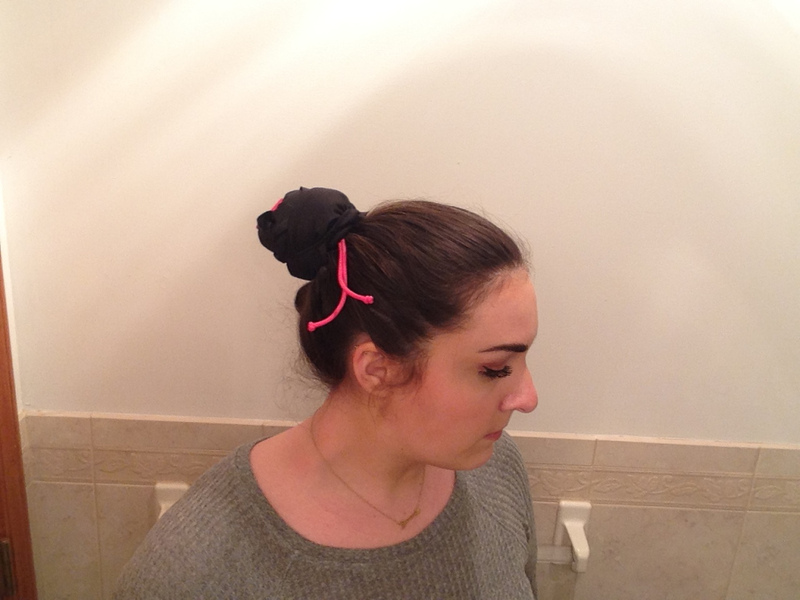 Next, I pulled the drawstring of the pouch at the base of my ponytail and wrapped it around into a bun. The key here: make sure there's airtight seal before entering the shower. I was skeptical about being able to rub the shampoo into my roots, but that ended up being a nonissue. It was the rinsing part that turned out to be problematic. 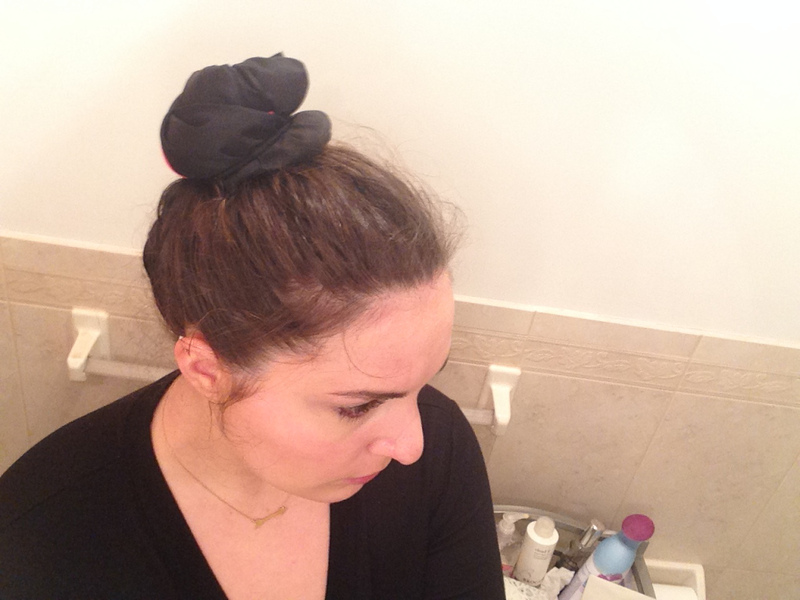 I didn't want to fully submerge my PonyDry bun under the shower stream or force soapy bubbles under the closure, so when I stood under the water to rinse, my face and eyes became coated in shampoo—not ideal. I stepped out of the shower and wrapped my bun (still sporting the PonyDry) in a towel and proceeded to blow-dry the six inches around my head from my roots to the base of my pony. To the touch, the outside of the PonyDry was damp, but I hoped that my strands underneath had managed to stay Sahara-level dry. About 15 minutes later, I unwrapped the towel, followed by the PonyDry. While my hair wasn't 100% dry, it was less wet than I expected. It took only 5-ish minutes more for my hair to be completely dry with a little help of my blow-dryer, and I was pleased with the results. My roots were squeaky clean and had some extra volume that is usually long gone by the fourth or fifth day after a wash. I think the PonyDry would be a game changer for women with superfine hair who typically wash their hair daily. Not only is that practice bad for the health of your tresses, it's also time consuming. Personally, I see myself using PonyDry in the future if I'm in a pinch—let's say I wake up too late to fully wash my hair or need a quick fix after a gym sesh when my roots are too sweaty to be seen in public—but I don't see myself kissing goodbye my beloved dry shampoo just yet.